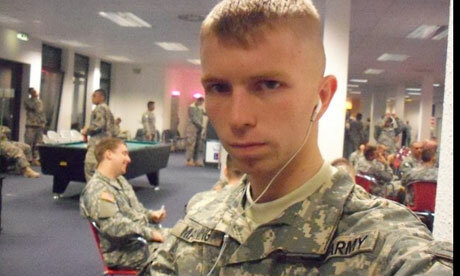 For the last year and a half, U.S. Army Private Bradley Manning has sat alone in a prison cell. A variety of prison cells, to be exact. The shy, some say troubled, young Army private was first taken into military custody May 26 in Baghdad and held in an undisclosed location, widely reported to be Camp Arifjan in Kuwait. In July of that year, Manning was transferred to a maximum security military brig at the Marine Corps’ base in Quantico, Virginia, on charges of copying secure documents to his computer and transferring them to unauthorized sources. For eight months, little happened while Manning sat in solitary confinement in his 6′ by 12′ cell, unable to see anyone including his defense team. Then in March 2011, he was charged with 22 specific crimes, including theft, fraud and “aiding the enemy.” One month later, the group Amnesty International and several legal scholars labeled Manning’s isolation “harsh, punitive,” and in violation of the U.S. Constitution’s ban on cruel and unusual punishment. That same month, the military moved Manning to Fort Leavenworth, Kansas, where he has remained until today when he was brought to Fort Meade, outside Washington DC, for formal arraignment. It was his first day in public view for 18 months. Friday’s hearing,technically an “Article 32 Inquest,” is the military’s equivalent of a preliminary hearing, where the military court determines if there is enough evidence to proceed with a full court martial proceeding. (VOA’s Bill Ide has our report on the proceedings here, and Nico Columbant has this report on Manning’s supporters.) It’s a long and sometimes grueling process, but it’s only the start of Manning’s legal woes. 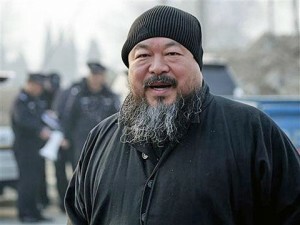 The Justice Department has also brought a case against him in civilian court, and several other governments are considering charging him with national security violations. 02:23:25 PM, Manning: i could’ve sold to russia or china, and made bank? 02:23:36 PM, Lamo: why didn’t you? Since he launched the Wikileaks website in 2006, Julian Assange – the “crazy white haired aussie” – has been giving governments around the world fits. Starting as an international whistle-blower site, Wikileaks published leaked documents on Icelandic banking, Kenyan corruption and celebrity misdeeds. But along the way it became largely focused on the Iraq and Afghanistan wars; and by extension, the U.S. government. But as Raffi Khatchadourian documented in The New Yorker, such efforts have produced few results. Assange has steadfastly denied any conspiracy with Manning, and despite his own legal troubles with Swedish and British authorities, the U.S. has not been able to get any charges to stick to Assange. Not that it hasn’t cost him, or Wikileaks. Under pressure from Washington, major credit card companies have suspended all supporter donations to the group. Although it continues to publish, just last week launching the so-called “Spy Files” project, Wikileaks’ leadership has begun to fray. As for Assange, he’s spent over one year largely confined to house arrest in Britain, and in his rare public appearances seems noticeably worn. Considering the unprecedented size of the secrecy breach, and the significant embarrassment caused to the U.S. government, it’s a sure bet that Bradley Manning will spend the rest of life behind bars. The larger issues remain untested: who is a journalist, what constitutes a secret, and how can they be stopped once they’re out there on the Internet? The Pentagon and State Department have tightened access and constricted their use of the SIPRnet computer network Manning used to access military logs and diplomatic cables. And the Defense Department has launched several initiatives, one of them called “PRODIGAL,” to catch would-be snoops and leakers. But leaks are unavoidable, as the Pentagon well knows. 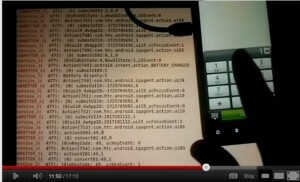 And in the Internet era, plugging the leak once it has begun can be next to impossible. 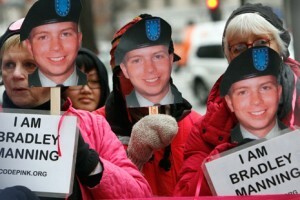 Bradley Manning’s military trial is expected to begin in earnest sometime in the Spring. Until then, he will make his home back in his prison cell at Fort Leavenworth. Our complete Wikileaks coverage can be found here. There are few things worse for a politician than losing an election. One of those is being mocked. Just ask Russian Prime Minister Vladimir Putin. In late November, two weeks before parliamentary elections, Putin decided to appear on live television to introduce a wrestling match. It was just the type of stage-managed, machismo-heavy photo opportunity that had been typical for Putin. But there was an unexpected problem: the crowd. As soon as Putin stepped into the ring, a chorus of boos rose from the crowd. Putin continued, but as video of the event shows, every time he tried to speak louder, the audience raised the volume of raucous hoots. Embarrassing, but manageable. After all, the Kremlin has effectively been censoring stories on Russian radio and TV for years. But there was another unexpected problem; this time, it was the Internet. The “Putin boo” clip went viral online, popping up and spreading via social networks faster than the Kremlin could swat it down. Satirists stepped forward and began to mock the Prime Minister as a frightened little boy, while critics seemed to lose fear of the heavy-handed Putin. And things would only get worse for Mr. Putin from there, due in large measure to the Internet. When he first won office last decade, Putin spoke of creating a “power vertical” – meaning integrated and functional control of all of the tools of modern politics, including political parties, finances, the courts and the media. Coming on the heels of the chaotic Yeltsin years, it was neither surprising nor unwelcome. In the years since, Putin and his associates have worked to consolidate power within the Kremlin by punishing opponents, muting dissent and tightly controlling the message. So complete was his power vertical that few analysts predicted his United Russia party would actually earn less than 50% of the vote on December 4. 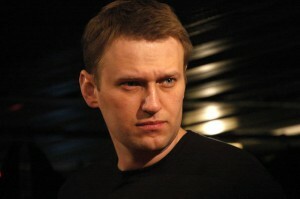 Fewer still predicted the swelling outrage over the questionable vote and the resulting mass protests across Russia, and nobody foresaw the entry of billionaire Mikhail Prokhorov as challenger to Putin in next March’s presidential election. Very suddenly, things appear to be unraveling. Of course, appearances can be deceiving. Discontent has been growing in Russia for several years, sharpening its focus with President Dmitri Medvedev’s recent decision seemingly to hand power back to Putin. 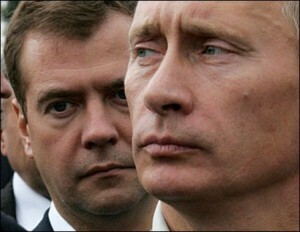 And it’s hard to imagine any way that Putin will not win election against the untested and unpopular Prokhorov. Still, there’s no doubting it’s a different world for Putin and United Russia, and that’s due in some measure to the web. A fairly bland comment, but one nonetheless that prompted an outpouring of bile and anger at the President. Over 16,000 comments have been left so far, very few of them positive. In fact, it appears Medvedev’s effort to reach out online has bitten him on the hand, re-energizing those who mistrust their government. As a social media tactic, it was flat footed…just like much of the Kremlin’s dealing with the web. But that doesn’t mean that they don’t consider it a serious threat. The BBC, among others, reports of a flood of fake Twitter traffic aimed at drowning out Russians tweeting with each other about past and future protests, traffic that seems to be coming from a Russian botnet. And on Wednesday this week, the head of Russia’s Security Council, Nikolai Patrushev, said that the Internet must be subject to “reasonable regulation” – a clear signal that Moscow is tiring of criticism coming from the web and intends to crack down. It’s unlikely a blogger can bring down a government, or that social networks like Facebook or VKontakte can uproot entrenched power structures by themselves. That didn’t happen in the so-called Arab Spring, and it won’t happen in Russia. But what they did accomplish in Tunisia, Egypt and elsewhere was to help organize protest and dissent into a more coherent, focused effort. Egypt’s largest mass protests happened only after authorities shut down access to the Internet, but they wouldn’t have taken that step if the web didn’t present a clear challenge to their authority. “Slacktivism” – the casual use of the web to register displeasure but accomplish little else – may make a discontented voter feel better momentarily, but it won’t change the cause of the discontent. Nobody – or nobody here at least – is predicting what may happen in Russia. But as we’ve noted before, the web takes as much as it gives, and autocrats can use it just as effectively as protesters. Vladimir Putin has learned the hard way that the Internet isn’t always your friend. He may also be learning how to make it an ally. Five times a year, in cities as diverse as Prague, Washington, Brasilia, Dubai and Kuala Lumpur, thousands of buyers and sellers of electronic gear gather for a series of events that have come to be known as “The Wiretapper’s Ball.” On display are some of the most sophisticated electronic products available that allow for practically any kind of electronic surveillance, from monitoring and intercepting mobile phone calls to recording user’s web traffic and physically locating individuals to within a meter. The manufacturers are ready to sell, and the thousands of governments and other organizations that attend are eager to buy. But just who are those customers, and what kind of technology is being made available to governments around the world? Wiretapper Ball coordinator Jerry Lucas says clearly repressive governments such as Syria, Iran and North Korea are not allowed at the events, but that’s no guarantee these advanced technologies don’t wind up in those places. There are no solid estimates for the size of the international surveillance industry. However it involves hundreds of firms – many based in the United States, Germany, Britain and Israel – and thousands of clients, including corporations, police forces and governments. Tracking where all that technology flows is tricky, and that’s raising alarms among human rights organizations. For example, following the fall of the Tunisian and Egyptian governments, rebels documented advanced surveillance equipment used by those governments to monitor and track rebels’ online activities. 160 firms in all are listed in the “Spy Files,” along with brief specs of their products and details of some of their customers. There’s also a searchable map for further research. And while it is illegal to sell high-tech equipment to those nations hit with sanctions, such as Iran or Burma, those sanctions are often a nation-by-nation patchwork, and no guarantee that some middleman won’t legally buy surveillance equipment from one firm, and then transfer it to a banned nation. But privacy advocates want more, including a comprehensive global agreement that would heavily regulate who can buy what sort of equipment. Until then, however, the global surveillance market will likely remain healthy, if shadowy. 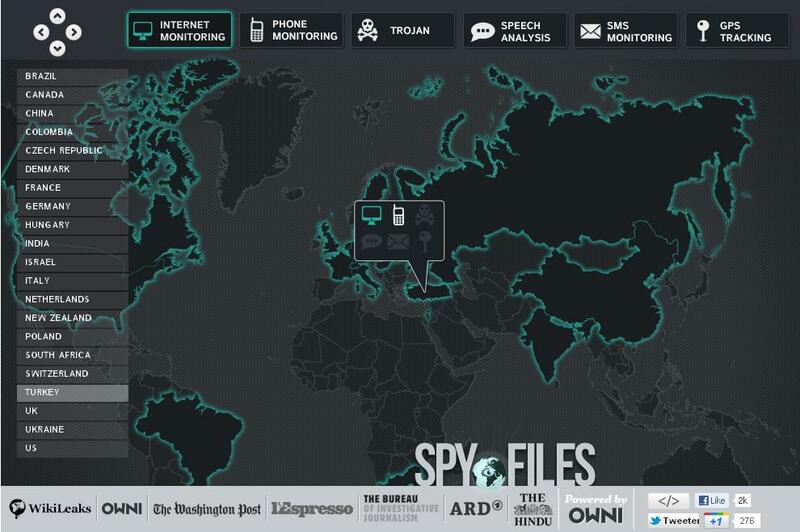 You can read more on the Wikileaks “Spy Files” here at Technorati, and here at Forbes. 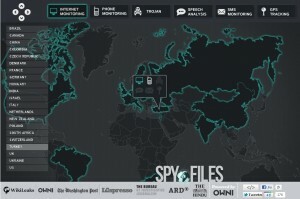 Also, the French media company OWNI has this deeper look at how Western-made surveillance equipment was used by the Gaddhafi government to spy on and track rebel activities. It’s well worth the read. Finally, although you can’t attend, you can view the “Wiretapper’s Ball” ISS Mideast conference agenda online here. With the creation in 1989 of the “HyperText Transfer Protocol” by researcher Tim Berners-Lee, the Internet has been synonymous with what’s called the “World Wide Web.” (That name, incidentally, was also Berners-Lee’s idea.) The phrase, like Berners-Lee’s new computer language, is elegant, compact and easily grasped. But for much of its life, it has also been a little deceptive. The truth is that for years the Web has been World Wide much more in theory than practice. But that’s changing, and those shifting patterns of online use are changing what the web is all about. From the outset, the United States was the earliest and largest adopter of the web. In 2000, just over 95 million Americans were browsing the Internet – more than twice the figure for any other nation at the time. Ten years later, Internet penetration in the U.S. remains very high (79 percent), exceeded only by South Korea (80 percent), Britain (82 percent) and Iceland (a whopping 93 percent). Taking population into account, that puts more than 245 million Americans on the web; roughly 12 percent of the global total of Internet users. However for sheer numbers online, China dominates. The International Telecommunications Union, working with agencies like the United Nations, estimates 485 million Chinese are active web users. That’s 23 percent of the global usage total, but given China’s out-sized population, its Internet penetration rate lags far behind at roughly 36 percent. These numbers tell one sort of story – of Internet haves and have-nots – but other data are pointing to a new narrative. Take India, for example. The world’s second most populous nation, India has traditionally ranked at the bottom in terms of Internet penetration, still only around nine percent. But that still translates into 112 million Indians online, as estimated by the Internet and Mobile Association of India. Moreover, at its current growth rate, India could likely overtake the U.S. in raw numbers of people on the web in just two years, with plenty of room to grow beyond that. Or consider Russia. The web-rating company ComScore just released new data showing the Russian Federation has overtaken traditional top-dog Germany in terms of overall Internet users. Again, key to understanding what this means is the Internet penetration rates. At over 78%, there just aren’t that many more new Germans who will be coming online, but Russia’s rate of 43 percent suggests many more Russians will be hopping online. Which is exactly what’s happening in India, Russia, Indonesia and other populous nations. People in these late-adopter nations are hooking up to the Internet at much faster rates than Western Europe or North America, precisely because there’s so much growth potential and so many more people. Some of this is also being sped by ICANN’s decision last year to allow non-Latin characters such as Arabic, Cyrillic, and Hindi in web addresses. All this points in one direction: while the web is expected to continue growing everywhere, its spread will be fastest and most noticeable in Asia. With an overall penetration rate of just 24 percent but over half the globe’s population and wealth, Asia is the place putting the “worldwide” into the web. And those large numbers of new users will bring with them their own cultures, traditions, questions and web styles. Postscript: There’s one noticeable outlier in the data. While Africa trails the rest of the world in web use, Nigeria – that continent’s most populous nation – also has the largest number of online citizens at 44 million, or roughly 28 percent of the nation. It’s very likely that Nigeria will soon overtake France and Britain in overall numbers. If it seems like just about every teenager living in the United States is on the Internet, that’s because nearly every one of them is. An astounding 95% of teens aged 12-17 are now online, and over 80% of those teens are using social networking sites like Facebook, Tumblr or MySpace. These figures, while not all that surprising, are just the start of a new report from the Pew Internet and American Life Project, examining young people’s behavior online. Titled “Teens, Kindness and Cruelty on Social Network Sites” the report’s authors explore not just where teens are spending their time on the web, but how they’re interacting with each other. The short answer: probably in much the same ways they interact in real life. The report finds that 69% of teens see their peers online as mostly kind; a clear majority, but lower than adults (85%.) Why the difference? It may have something to do with the sorts of behavior people are seeing online. 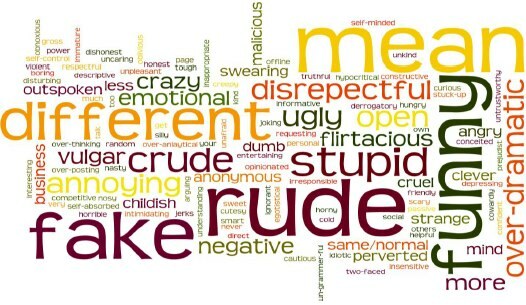 Tag cloud of teen's descriptions of bad behaviors they've seen online. 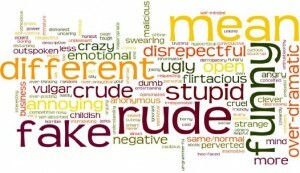 Researchers were also interested in how teens respond to bad online behavior. Of those teens who had seen online bullying, nearly all (95%) saw that others just ignored it. But 84% of those teens also report seeing someone defend the victim, or tell the harasser to stop. MIDDLE SCHOOL BOY: I know people who, in person, like refuse to swear. And online, it’s every other word. MIDDLE SCHOOL GIRL: I think people get – like when they get on Facebook, they get ruthless, stuff like that. …They act different in school and stuff like that, but when they get online, they like a totally different person. You get a lot of confidence. In general, researcher Mary Madden emphasizes that the web is still seen as a generally positive and supportive area by clear majorities of teens and adults. But, as in real life, teens’ digital lives will occasionally be rocky. The full report is available online, for those wanting to dive down deeper into the data. One question unanswered by the researchers: are those teens that misbehave in the real world the same who engage in cyber-bullying, and are those who stand up for others online those that do so in the real world? But that’s for another study. Has Facebook Become Everyone’s Creepy Friend? There’s an old rule in public relations: don’t use words you don’t want associated with your product. It’s a lesson someone should have mentioned to Sean Parker. Parker shifted in his chair, muttering. The moderator tried again. “So I’m sensing you might have something you’re holding back on, and say ‘Yes, John, in fact it is a little creepy. '” Parker’s leg jiggled nervously. “Look, I mean there’s good creepy and bad creepy,” Parker finally replied to knowing laughs. “And today’s creepy is tomorrows…necessity?” he wondered before quickly dropping it altogether. “Parker Defends ‘Creepy’ Facebook,” blared the headline in the Huffington Post. “Facebook must pass the ‘creepy’ test,” wrote Britain’s Telegraph newspaper. 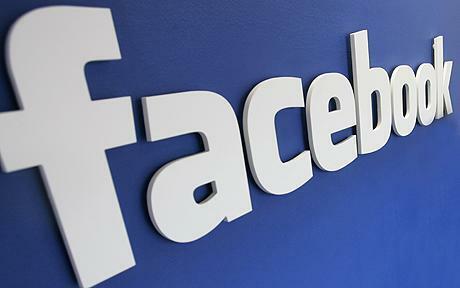 “Facebook makes us embrace creepy,” began Reuters commentator Kevin Kelleher. (Facebook declined to respond to VOA’s numerous requests for comment for this story.) Parker’s sin was that he had come as close as anyone in his position to addressing what many others are already saying: somewhere along the way, Facebook has become everyone’s creepy friend. It’s difficult to determine objectively what people’s subjective reactions are to any technology – including Facebook. But a growing number are responding to something they say they find disturbing about the social networking site. In Europe, where privacy concerns tend to rank slightly higher than in the United States, a group of Austrian students are filing legal complaints against the company, alleging that, among other things, Facebook is creating ‘shadow’ profiles of users who have deleted their accounts. This message board contains hints and suggests for anyone wanting to petition Facebook to turn over the total personal information it has on you. And practically every day, despite continued warnings about its dangers, people break up, get fired or otherwise have their life turned upside down by something posted on Facebook. So just how creepy can Facebook, or any online service for that matter, become before a majority of people permanently ‘de-friend’ it? Is there really good-creepy? Google CEO Eric Schmidt alluded to this late in 2010, when he told an audience in Washington, D.C.: “Google’s policy is to get right up to the creepy line and not cross it.” Not exactly reassuring. And despite some data that point to falling Facebook user numbers in early adopter nations, there’s little conclusive evidence that users are yet sufficiently troubled to stop using it altogether. They may, however, be using it less, or more cautiously. Consider the “Timeline,” a new feature Facebook unveiled this year. Timeline assembles all of a users’ private data and composes a personal history, from birth to school to jobs, listing major moments and close friends along the way. Facebook calls it “the story of your life.” Liz Ganne, a writer with Wall Street Journal‘s All Things D blog, says “…the whole idea of a life on display in pixels like some never-ending comic book — with photos and text and video and smiley faces (and frowns, too!) — is, well, more than a little creepy.” Timeline basically bombed. Part One: Is Facebook’s Size Its Strength, or Vulnerability? For just about as long as there’s been a Facebook, there have been those predicting its demise. Like newspapers, the California-based firm, in the eyes of its critics at least, has been hovering on the edge of failure for years. And yet somehow, it keeps going. And going…and going. Just consider for a moment: U.S. Navy Admiral James Stavridis, the top commander of the NATO forces that pursued Muamar Gadhafi, first confirmed the mission’s end not via the Associated Press or Al Jazeera, but on his Facebook account. Facebook reports “more than 800 million active users,” meaning users that have visited the site in the last 30 days, with fully three-quarters of those living somewhere other than the United States. It’s almost become cliche now to note that if Facebook were a continent, it would have a larger population than all of Europe. “I can’t find anything on Facebook anymore,” writes Michael Hartt, one of my many Facebook “friends” who responded to my questions about how they now use the social network. “While I’ve noticed a decrease in activity overall,” notes Ed Davis, “I’ve noticed an increase in annoying activity, like sharing other peoples’ ‘inspirational’ photos in a ‘status shuffle’ kind of way.” Adds Peter Hassett: “I haven’t checked my Facebook in weeks,” which is curious for someone responding to my recent Facebook question just hours after I posted it. The question now: is something new happening? Could Facebook’s phenomenal growth be slowing, or even fading? Shapiro says Facebook worked because people trusted it, and it was, in her words, “flat” – meaning that everyone in your network was treated equally. But little more than a year later, the admiration had worn off. At just the time Facebook was exploding globally, Shapiro in 2010 wrote that rapidly expanding features, increased complexity, and the ‘creepy’ nature of highly targeted advertisements based on private information could spell its doom. “In chasing scale, they used “feature sprawl” to attract users and in doing so made the Facebook experience more and more complex, imposing a tax that ultimately would not be borne by users,” she wrote. At the time, it was not a popular opinion; especially among her marketing colleagues who had built strategies around Facebook. “I couldn’t get a single marketing executive to talk to me,” she says. After all, how could Facebook be in trouble? It was still growing by leaps and bounds, wasn’t it? Yes, and no. Some analyses have suggested while overall numbers for social networks like Facebook and Twitter are still growing globally, the rate of growth is slowing significantly. Twitter executives liked to boast of having 200 million users, but this September they admitted only about half are “active” users. Further, this study, released in June, charts first-ever user declines on Facebook in the U.S., Canada, the U.K., Norway and Russia – the first four early adopter nations, and the last where the social network VKontakte is starting to compete with Facebook. That suggests not just users who have grown bored with the service, but people actively deleting their accounts. Whether deleting their profiles or just opting not to come back, there’s no denying that every day people stop using Facebook, and those numbers are growing in Britain, the United States and other early adopter nations. It’s a process Welsh journalist Aled Blake calls “falling out of love with Facebook.” Among the prime reasons cited by those leaving is Facebook’s increasing complexity. Just this year, Facebook released a wide array of new features that, so far at least, appear to have fallen flat. The “News Feed” – all those updates on your friends’ activities – now employs complex algorithms that adjust what shows up based on your recent activity. New “Timeline” and “Ticker” tools are designed to help users customize their profile and interactions, but have not found favor. Increased tracking of your interactions means that Facebook simply stops showing you some of your friends unless you actively seek them out. And its “Facial Recognition” feature? The one that automatically searched its vast photo archives to find and tag unlabeled pictures of you? “Creepy,” summed up PC World‘s Sarah Jacobsson Purewal. Facebook pulled back. It’s exactly that sentiment that executives at UnThink.com hope to tap. Publicly launched this week, UnThink aggressively bills itself as “the anti-Facebook.” Among the differences, UnThink subscribers will be able to choose the ads they want to appear on their pages, or eliminate them altogether. (That option costs $2 dollars each year, so it is basically free.) And with over 100,000 new registrations in just the first few days, UnThink might be getting some traction. But the road ahead is very long; even behemoth Google is having troubles toppling Facebook from its social network dominance. But giants have been dethroned before. Just look at AOL, or Netscape or, more recently, MySpace. Launched in mid-2003, MySpace shot to the top of the most visited websites, adding over 100 million users in a matter of years. As late as 2007, it was the most visited social networking site on the planet, but not for long. Users drifted away, traffic plummeted, and although MySpace is still in operation, nobody would say MySpace is a serious challenger in social networking these days. So is Facebook’s size its chief asset, or vulnerability? Surprisingly, Judy Shapiro argues the latter. Facebook executives, and many other marketers, would strenuously disagree. After all, it was just this month that Facebook founder Mark Zuckerberg was rated by Forbes Magazine as the 9th most powerful person in the world, one spot ahead of British Prime Minister David Cameron, who has an actual army at his disposal. But members and boosters of Zuckerberg’s virtual army go online millions of times every day; updating, sharing, friending and doing all the other things “Friends” do. And even if only half of those registered with Facebook continue to use it, that still makes Facebook perhaps the single largest holder of private information, ever.